Television personality Oprah Winfrey has agreed to produce shows for Apple as the iPhone maker prepares to make a push into original content. 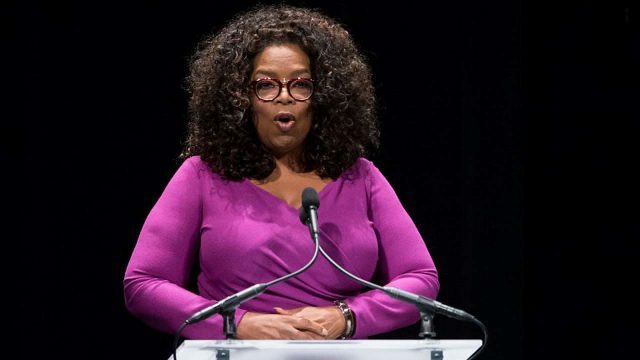 “Together, Winfrey and Apple will create original programs that embrace her incomparable ability to connect with audiences around the world,” the statement said. The news suggested Apple — which reportedly is investing $1 billion in content — is push forward as part of its effort to create a platform to challenge rivals like Netflix and Amazon in internet-based video. According to The Hollywood Reporter, the deal includes films, television shows, smartphone applications and books that can be distributed through Apple. Apple has deals with other stars including director Steven Spielberg and actresses Jennifer Aniston and Reese Witherspoon. The move comes after Netflix signed a deal with former US president Barack Obama and his wife Michelle to produce shows for that platform. It also comes as traditional TV operators scramble to bolster their position against an expected online onslaught.